See who topped the list for our second annual homebrewer competition. Best in Show will win a $50 Dam Gift Certificate & 15 gallons of their winning beer recipe will be brewed on our small batch system and sold on tap. 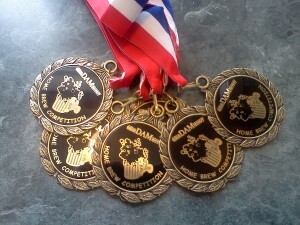 Prizes & Medals for the top beers will be handed out.